Hello, Life blessed me and Narendra with a little angel. Who happens to be our Sunshine. ?? She is the soul reason behind our smiles. Angel and princess wouldn't sound cool. 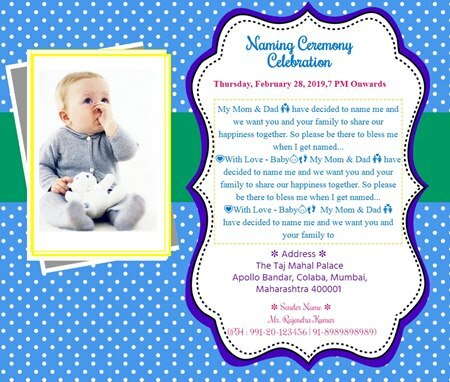 I warmly invite you to the naming ceremony of our princess. Your presence will be valued and awaited..
With love and regards Suman and Narendra.